Win a GroVia ONE Snow Series Color Diaper from DiaperJunction.com! 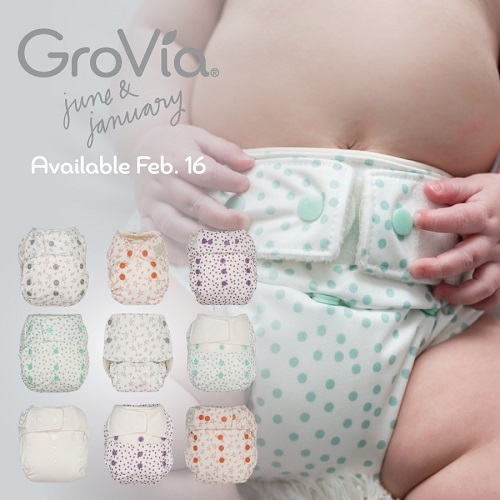 2/16/18 FYSF, Win a GroVia ONE Diaper in Snow! It's time for a Feed Your Stash Friday giveaway! We have decided to give you all a chance to win a GroVia ONE diaper in the new Snow (white) color from the June & January Collection! The GroVia + June & January collaboration titled "Snow Series" has just stocked at Diaper Junction! You can see all the beautiful new prints and what styles we have in stock HERE. One lucky Diaper Junction fan will receive a GroVia ONE in the new Snow (white) color from this collection! Enter to win using the rafflecopter form below. This contest is open to the USA & Canada. Must be 18 years or older to enter. Winner will be notified by email and will have 7 days to reply and claim their prize. My favorite in the series is the Grapefruit Stars. I love the grapefruit stars!!! My favorite print is slate stars! Love both of the stars (okay I love them all!) but I think my favorite is snow. There's something so nice about the plain white, I think I'd have my whole stash be snow O.N.E. 's if I could afford to! I like both of the stars best. Especially the grapefruit stars, but I like the simplicity of the slate stars, too. If they had the stars in the soft mint color I think I'd like that a lot, too! I already have a slate stars on the way, but I’m really loving the Snow! I love the mint dots and grapefruit stars. The colours we picked for our baby #2. The violet dots is my favorite! I’m all about purple on diapers! I love the slate stars, mint dot and the clean simple look ok of basic snow! I wish I could switch my entire stash to the snow series. I’d probably get a newborn or shell in slate stars. I love the slate stars! Oh my!! I thought the Snow series would be a little plain...but SO beautiful!! I have just recently found the O.N.E. love as well, this would be an amazing add to our stash!! The slate stars is my favorite print, but I love them all!! These are really adorable diaper patterns! These are really adorable diaper patterns! My favorite is the soft mint. I love the soft mint dot ones! Too cute! I like the soft mint dot. So pretty. My favourite in the series is slate stars! But really I love them all! I really like the grey stars for my grandson, but if we had a girl those dots are darling! I absolutely adore Slate Stars! It's such a soft, gentle grey and the little stars are too cute. This one seems the most like winter to me. Slate stars! But really I like them all, nice and understated ?? I really liked the slate stars so obviously they sold out before I checked! The snow print is nice, too. I like having a range of solids including white, brown, and black. I love the grapefruit stars! I like the slate stars pattern, I am very curious about trying out cloth diapers on baby. I really love them all. I can't pick one! ??????? I really like the slate stars! Looooove Grovia products!!! Use their ONEs and Hybrids as our cloth diaper routine go to. Have never experienced any leaks or accidents. Superb quality and impeccable absorbency! The new prints are super adorbs—then again, all their prints are! Wanna have them all!! Hehehe! My favorite print is slate stars! Wish they had the stars in violet too. Slate stars & snow ???? I love the Newborn AIO Grapefruit Stars for my daughter. Grovia ONEs are our nighttime diapers! They’re awesome! I love the violet dot print the best! 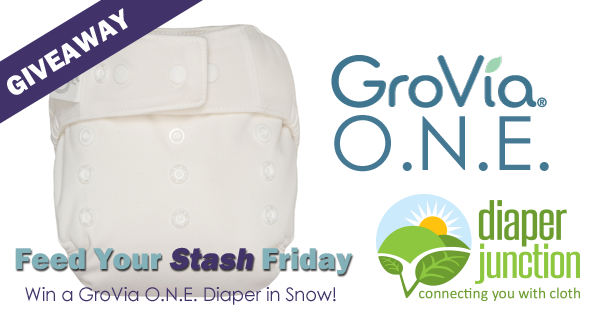 GroVia O.N.E.’s are our go to overnight diaper, and the snow series is gorgeous!! Our favorite here right now is Soft Mint Dot.